It would be too easy to spin tales about conversations, such as the one suggested by Henri Matisse's two women in The Conversation of 1938. Instead of that, let's listen to what Matisse has really said with his Modernist masterpiece. It is fair of the SFMOMA to use Conversation in the context of a dialog in the exhibit on the second floor, where they have set up a “conversation” between the works of different artists in their permanent collection. Compare Marcel Duchamp to Picasso and Matisse. Does Matisse speak to Mark Rothko and Jackson Pollock, two rooms away, and if so, what does he say? Consider Jasper Johns or Andy Warhol: how do they interact with the history of Modern art? Then you have the obvious question: what are these artist's saying to the viewer? The Trajectory of a Masterwork. Henri Matisse named two paintings The Conversation, but the 1938 piece that I saw three weeks ago in San Francisco is more than just a depiction of parlor conviviality. The Conversation, 1938, is an effortless, masterful work that is a colorist piece and is rooted in the timeless elements of painting. It also unites the qualities of drawing and painting in thoughtful ways that only Matisse could accomplish. “Matisse was an artist in the medieval sense of the word,” said the French historian Regine Pernoud. 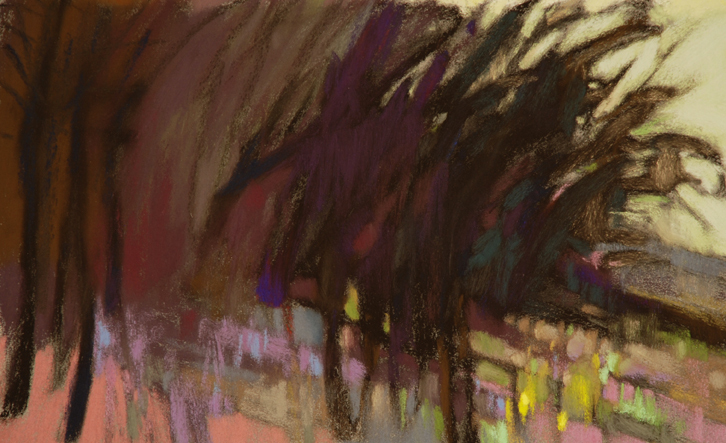 By referencing another era, Pernoud suggests the artist's aim was over the horizon, not just his own time. Art is the root word of both artifice and artillery. Could Henri Matisse (I am borrowing a page from his World War II era) have shot a creative shell across the ages? By the 1930s, Matisse was leaving behind Odalesques and returning to his bold and active earlier style. The Dance, 1932-3, featured monumental figures whose energy moved outside of the confines of the mural. His illustrations for Ulysses, 1935, were 26 line images that reinvigorated Matisse's sensibilities for the drawn figure. He said, “I do not reason when I draw; I don't know where I'm going.” For Matisse, drawing was an expressionist act, and his paintings were to become infused with this element again. Although the faces of the two women in The Conversation may have been done with a rigger brush and paint, they give one the impression of transparent paint over pencil lines. To further emphasize this effect, Matisse draws each woman's hair and face together as one area and uses the same flesh color for both elements. Matisse outlines the figures and room elements – a total departure from a painter's desire to lose edges. Instead, Matisse draws in all of the edges; sometimes with negative white lines, and at other times with pencil-thin gray lines. The Figure, The Color and The Space. The woman on your left recedes in a pure black dress, while her companion springs forward in a violet, yellow and red dress. The room is an effervescent pattern of colors, with compliments of red and green, blue-green with red orange, and the triadic relationships of violet and green and then the yellow and green sofa. Both women form a triangular mass, the wall is divided vertically and there is a diagonal line created by the sofa's edge, arm and a red triangular shape at the bottom. There is an X formed in the center of the picture by the edge of the black shirt sleeve and the elbow of the woman on your right, and the arm of the sofa. Perspective is not achieved with lines and atmosphere, but by the relationships of colors and masses - Modern Art meets timeless divisions of the picture. There is a heart shape to each face, and a heart shape can also be suggested by both faces together with the bottom being the elbow. There is a a curvilinear pattern of lines and shapes around the interior of the space - they read gracefully. One woman's eyes gaze to the left, and the other to the right, which adds to the expansiveness of the picture. Dreamy and pleasant, the two are caught in a moment of happiness. Someone has said that a painting can no more be about color than a party can be about Tupperware. Look again at Matisse and reconsider this. He uses colors as the space, suggesting both a scene and a pattern simultaneously. The comparisons between the colors become movements, and the use of pure tones, without shading, arouse both excitement and harmony. The feeling is one of a brightly lit midday, illuminated by the southern sun. “Do you find perfect correspondence between the nature of the drawing and the nature of the painting? In my opinion, they seem totally different from each other, absolutely contradictory. One, the drawing, depends on linear or sculptural plasticity, and the other, the painting, depends on colored plasticity.” Henri Matisse. Physicists think about the properties of time; they wonder if it bends or slows down under special conditions. Can fine art add anything to the conversation about time? When I am standing in front of Matisse's The Conversation, time is folded for me. This artwork may have been painted seventy-three years ago, but I am experiencing it in the here and now. If I understand the artwork, even minimally, then the artist and I are having a conversation of sorts. We feel old, and somehow wizened, when we enjoy a masterwork. Henri Matisse has made what is, for me, the greatest contribution to the gallery space at the SFMOMA with The Conversation. It appears graceful and effortless in comparison to Picasso, Braque and Morandi, whose works hang in the same space. Does Marcel Duchamp, whose urinal is presented in the next room, really diminish art by his funny and outrageous installations? His "readymade object" seems even more absurd directly after looking at Matisse's superb contribution to the canon of Modern Art. More on Duchamp in a later post. With energy and singularity, and with clear, bright pictorial statements, Henri Matisse has given us more than words. He has brought grace to the conversation about the art of the twentieth century. 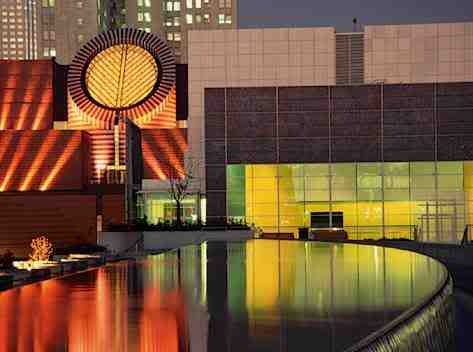 The beautiful photo of the SFMOMA by cbrady2 at Photobucket. Easter week has been a contemplative time here in my studio. The Matisse series has been, for me, a great exercise in writing and critique, and my essay on The Conversation will be published here at The Colorist after the holiday. As if I needed more things to take my mind off of the highest Christian holiday, and off of my painting, life rolls in and washes my time away. Doctors appointments, turkey season, spring yard work, and my new iPhone, which Lorie gave me last night. Still, in all, I did make time for two plein air pieces, which I hope to post here or at Pastel in the next couple of days. It was fun to find a new store, yesterday, in Spokane Valley named the Hobby Lobby. It is like a cavernous Michaels, only cheaper. I bought a few General pencils, a drawing board of Chinese make (I need drawing boards loaded with current projects and more of them than you'd think) and the best things were small Birch wood boxes and trays. I currently keep my smallest pastel outdoor set in a cigar box that is tiny, but now have an even smaller one than that. It makes me want to make some of my own boxes, but that urge will pass, I'm sure. 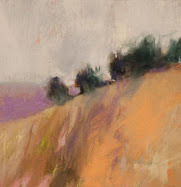 I am very happy to see Diane Mize posting at COMPOSE again. Harry Bell has been blogging for 7 years. Yes, you read that right: seven years. His cityscapes are a lesson in composition in themselves. 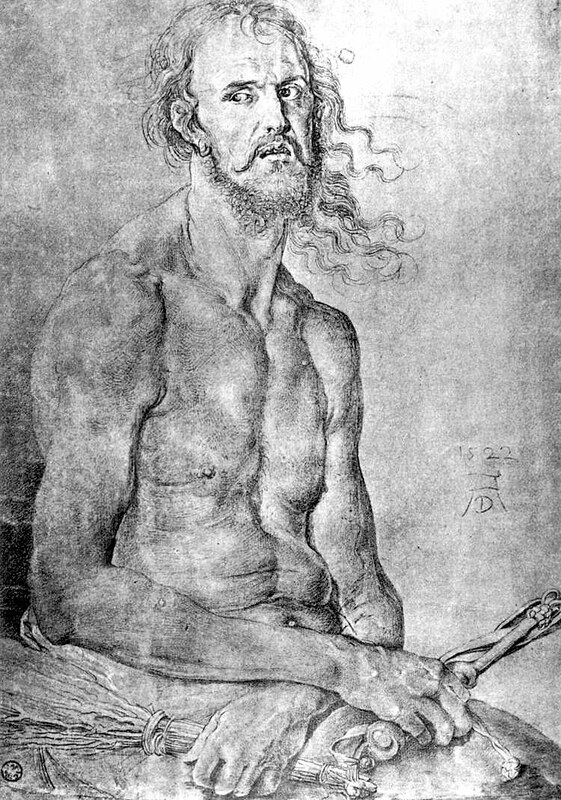 Lots of big images by Durer - very nice collection. My essay on Henri Matisse's painting, The Conversation, 1938, will be, as far as I can tell, the only available essay on this work. But, no pressure. 1938 Would Kill a Normal Man, But Not Henri Matisse. 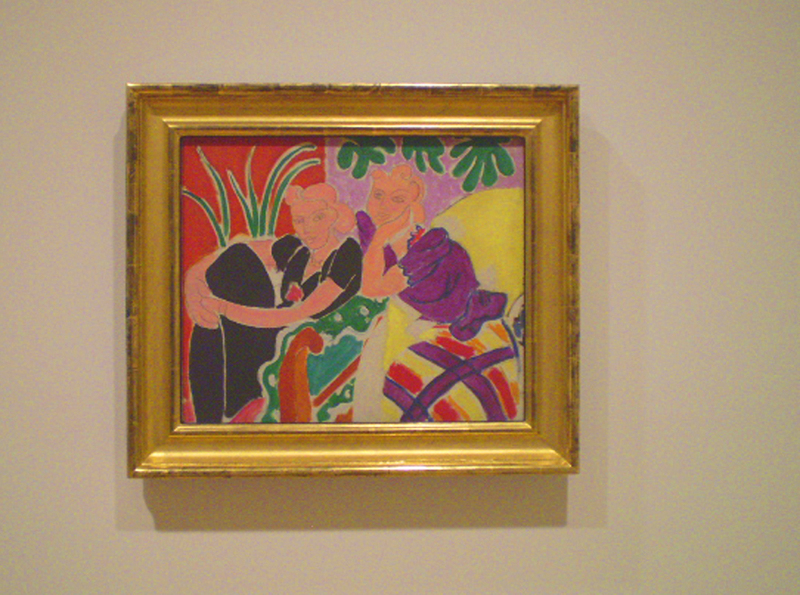 Don't confuse The Conversation of 1938 with Henri Matisse's painting of the same title completed in 1912. In 1938, Henri Matisse's world was coming undone. The days, metaphorically speaking, were dark. French Prime Minister, Édouard Daladier, and British PM Neville Chamberlain, worked in vain to avoid war with Germany and Italy. 1938 was the year of the Austrian Anschluss and the annexation of the Sudetenland. Hitler would pay a high profile visit to Rome and Florence in May. Ominously, the Nazis began the construction of the large concentration camp in Mauthausen, Austria. In Pablo Picasso's Spain, the Civil War was raging. In Nice, where Matisse lived, residents feared an Italian invasion. 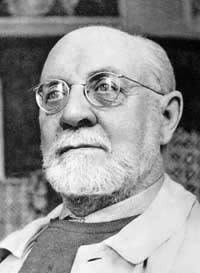 Henri Matisse had twice experienced the occupation of his hometown of Bohain, France by the German army. Now, he feared the third such event. At the age of sixty-nine, his health was fragile and in another couple of years he would undergo a colostomy, which bound him to a wheelchair and eventually to his bed. Although Matisse would live another sixteen years, in 1938 his life as a painter was soon to end. Amelie, his wife of forty years, was beginning the process of separation from Matisse and would sue in less than a year. 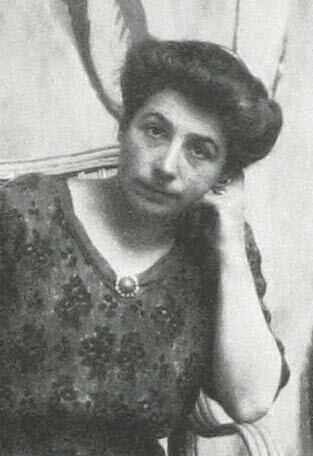 She had endured the hat painting, but was finished with the famous painter as a wife. Turmoil is not the right word to describe M. Matisse's life - cataclysmic would do better. What will Henri do with this chaotic milieu? He will paint what is, in my estimation, the best work hanging in the San Fransisco Museum of Modern Art. See my report next time. Amelie Matisse, giving "The Look." Please enjoy some Debussy while I am writing my essay on The Conversation, 1938, Matisse. Artist Hedda Sterne passed away last week at the age of 100. She was the one woman in that famous photograph of "The Irascibles," taken in New York in 1950. Remember her, standing on the table (not a chair) in the back of the room? That was the coming of age year for American artists. Goodbye, Hedda. You were one lady who stood tall. "Nobody tried to influence me, I just worked." Quote HS. I found out through Debu Barve. The Wikipedia article on HS is a good one. I found this image in my files, which has not been posted in this format before. This painting hangs next to my desk in the house. Next time: More Matisse at the SFMOMA. Previous posts on SFMOMA here, here and here. Come with me, dear reader, on a walking tour of the San Fransisco Museum of Modern Art. 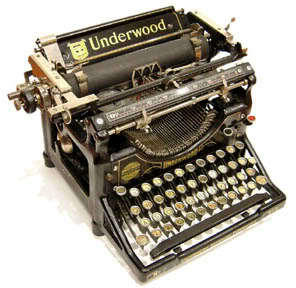 I'll be focused on the older holdings, since those are the artworks that have been subjected to the acid test of time. First, may I present my card? Don't be fooled. 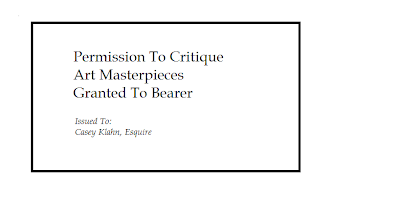 I will be praising here as much as criticizing, because I am an adherent of Modern Art. But, it helps to have a healthy handful of skepticism when you are viewing the Moderns. I don't let their notoriety get in the way of my having a go at the master artists' works. The SFMOMA introduces their permanent collection exhibition with the Fauvists and Cubists who painted at the beginning of the Twentieth Century. 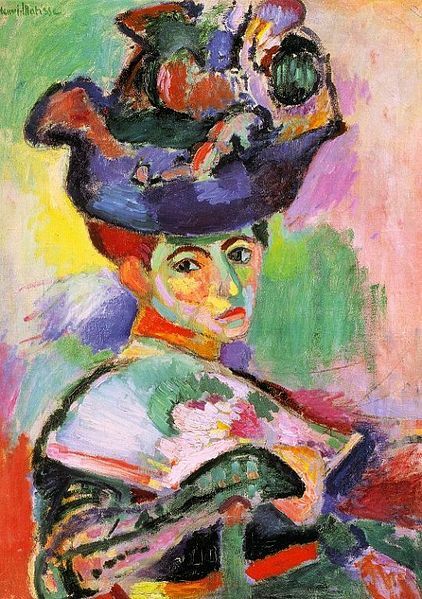 Matisse's be-hatted wife, Amélie Parayre, invites you to enter. The layout of the second floor weaves around different rooms, establishing a timeline of Modern works and telling the story of progressive ideas in art. The first room gives way to anti-art statements by Marcel Duchamp, and an eddy-out shows off the museums proud holdings by Paul Klee. I was attracted to the next room from an historical sense, if not as much for the art. These were the large format Diego Rivera and Frida Kahlo paintings. Next are the mid-century rooms, where the larger-than-life heroes are presented, such as Mark Rothko and many, but not by any stretch most, of the Abstract Expressionists. This was my favorite room, after the early Modernists. More details on that later. As you leave the rare air of Abstract Expressionism, and continue to the next rooms, you may become, as I was, lost at the soul-level. Not for ignorance was I lost. I am well aware of the movement to supersede painting with objects and experiences. In these rooms you find the advancement of Pop Art, and the experiences of video and installations. Thus begins the boredom. That's me. I love painting and sculpture, and don't feel the need to replace them in the Post-Modern sense. Pride of place at the SFMOMA is given to Woman With A Hat, by Henri Matisse. Even now, one-hundred and six years after completion, this painting appears different from anything else ever painted, except maybe by Matisse, himself. 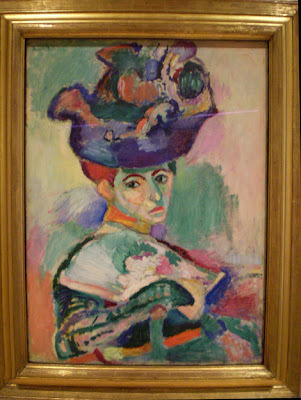 Because this was my first opportunity to view a painting by Matisse, I spent a lot of time with Woman With A Hat, 1905. I have been under Matisse's influence fairly heavily for the past year, having read the massive two-volume biography by Hilary Spurling, as well as a couple of lesser volumes on this master. It is easy to see why HM is noted as an early, major influence on Modern Art. Matisse is much better than I thought he was from even the glowing books and articles I have read. This is a good example of how actual real life viewing is superior to the printed page or the CRT. In those, I have to say I desired something else out of the man. I wanted flow. I wanted skill and expression. In the three Matisse paintings that the SFMOMA has on view, I found my wishes fulfilled. Well, maybe more so in two of them, because the one still life looked just plain wrong to me. It was forced, and especially it suffered from being hung next to a Morandi. But The Conversation and the Woman With A Hat were outstanding paintings. Woman With A Hat presents a mix of skilled brushwork, and savage beastly work as well. Matisse flattens, pops, effuses and describes all at the same time, and he never does it meanly or without intention. You get the tension between the flattering and the fatuous; the intimacy and the utility; the fine and the fierce. 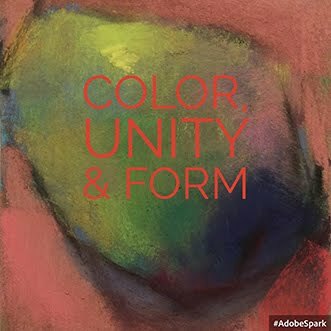 I began to see a color that I have only been aware of in a minor way before. It is the canvas color of old egg-white, with blushes of pale yellow and pink in this particular case. This comes in better focus when we look at Joan Mitchell and some other works later on. If you look closely at Edgar Degas' work of the same era, you see greens, blues and other wildly non-objective colors on the faces of his women. But, Matisse is presenting the colorist view here, which is that the colors, along with the forms, are central to the ideas presented. 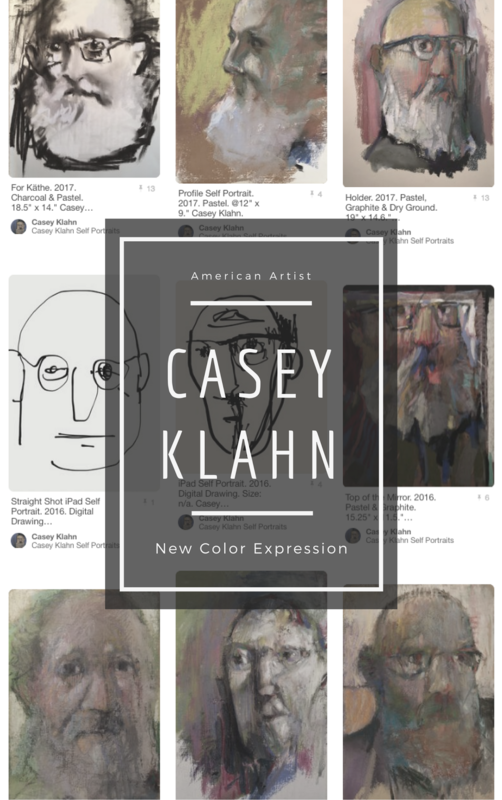 Not just as colors, or as not-true colors, but in the role of exposing new ways of seeing a painting. Paintings are flat artifices, revealing other things about our world than rote description. 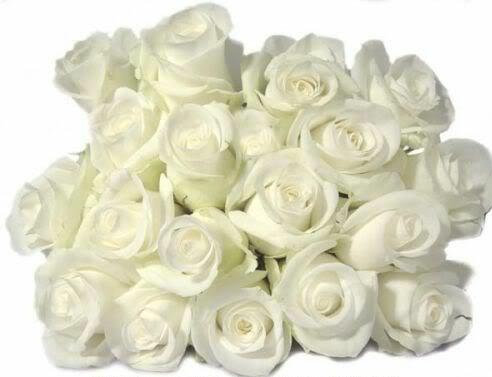 Their beauty is a transformational value; they are a tool for change and progress. Amelie is beautiful in ways not under the tyranny of the caliper and the ruler. Maurice Denis wrote that Woman With A Hat embodies "des noumènes de tableaux," which can be translated as the pure reason of ideas in the picture. If so, it was a breakthrough of painting from abstract ideas; from instinct. It raised the bar. I could go on. I love The Conversation, 1938, Matisse, even more. It is the greatest representational painting on view in the museum in my estimation, and it hangs in a room with Picasso, Morandi and Braque. More on that next time. "Genuine points of comparison for Woman with a Hat are few." T.J. Clark. 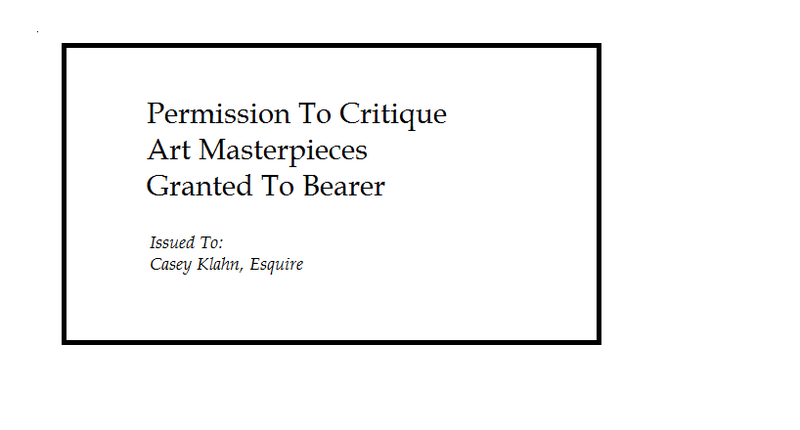 In depth essay on Matisse's painting. The least perceptible movement of air pushed against my face, and my eyes opened slowly. This was warm, moist air from the Pacific; the kind of air that San Fransisco is famous for. I had taken the red eye to California that morning, sped to the art museum, and spent the morning absorbing notable works of Modern art. I was tired enough when I sat down at the rooftop cafe, that I thought I was sitting next to a large, closed window overlooking the atrium sculpture garden. I sipped tea with cream and sugar, and rested my eyes. What I thought was a big window was actually an open door and I was literally at the threshold. By analogy, perhaps it was the threshold of springtime, this being the first good weather I've experienced this year. It was a pleasant unwinding. My first trip to a museum after the long winter, cooped up in my stuffy and busy studio in eastern Washington. Since my business in California was to judge some art, I used the SFMOMA as a sort of warm-up for my critical mindset. What would it be like for me to be a first-time jurist for an art event? It is especially hard to come off the farm (literally - my studio is on our farmstead) and engage with other people's artwork. Let me tell you, kind reader, it was plenty fun to tear into the biggies enshrined at the Museum of Modern Art. It was only practice, and the shoulders of these giants are plenty big enough to tolerate my arrows. And, I did sling a few. Return here next time, and we'll dish the greats with some relish and some salt. The San Fransisco SFMOMA is nothing, if not convenient. 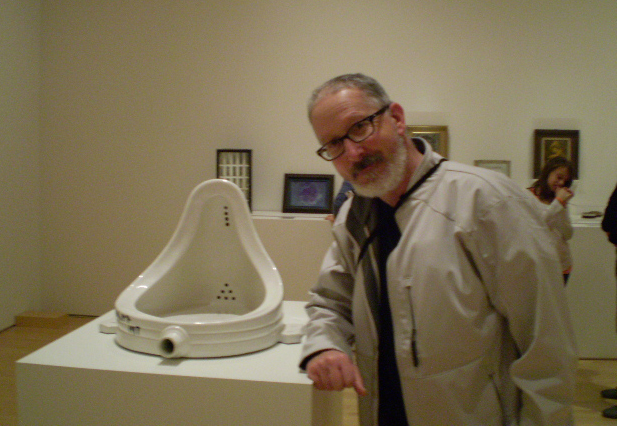 Me in front of a well known Marcel Duchamp object.